Both Phones come with Accelerometer, Fingerprint Sensor, Gyro Sensor, Geomagnetic Sensor, Hall Sensor, Proximity Sensor, RGB Light Sensor. Sleek metal design that promises improved durability and comfortable grip for maximum usability. These have Face Recognition, Fingerprint scanning, App Pair to pair two apps, halving time and doubling enjoyment. These also have Always on Display that offers information at a glance without unlocking the phone. These also have support Bixby Vision, Home, and Reminder, as well as Samsung Pay since these have NFC. 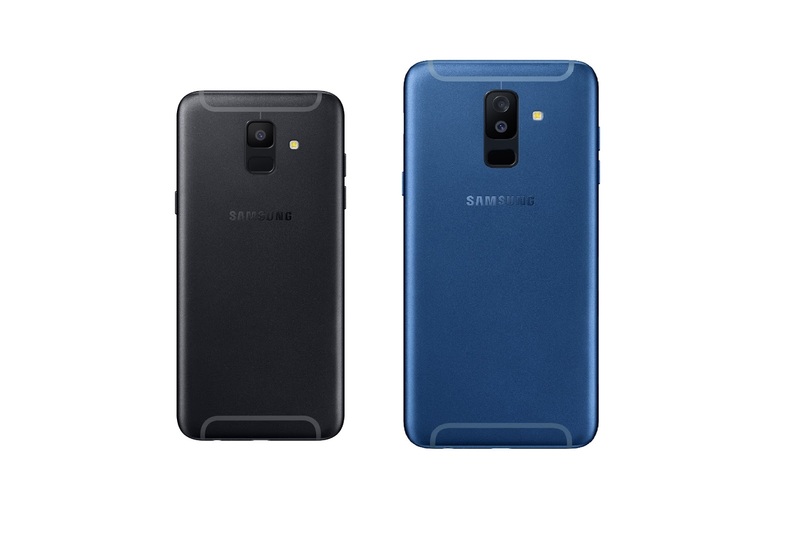 Samsung Galaxy A6 and Galaxy A6+ come in Black, Gold, Blue and Lavender colors will be available starting this month Galaxy A6 is priced at Rs. 21,990 for the 32GB storage version and the 64GB storage version costs Rs. 22,990. The Galaxy A6+ costs Rs. 25,990 and comes only in 64GB storage version. Both these will be available exclusively from Amazon.in starting May 22nd.